Sheetal Sudarshan is the daughter of Sri S. Sudarshan and Smt. Soumya Sudarshan, granddaughter of late M. A. Singlachar belonging to the Mandyam Amanji Family. She is studying in the X std in Vidya Vardhaka Sangha Sardar Patel High School. She is a badminton enthusiast. Sheetal developed a keen interest in the game at a young age of nine. She is getting trained by her Coach Mr. Sudhakar in Bangalore. She looks up to Virat Kholi when it comes to hard work and dedication. Her composed temperament and mobility on court are her strengths. Apart from being passionate with badminton, she has taken part in several cultural activities like dramas, Mono acting and skits. Among her several achievements in this field, a few of them have been highlighted. 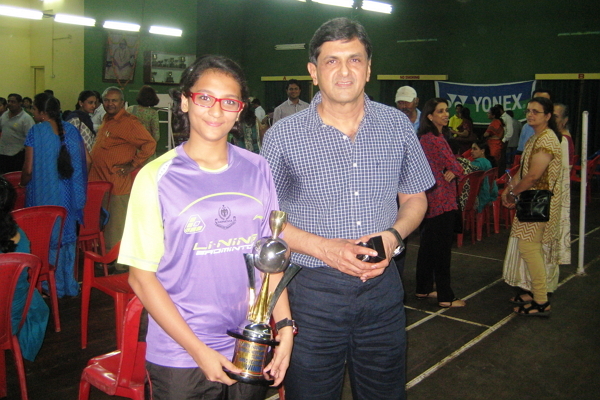 She has been playing and winning the state and national level badminton tournaments. Sheetal has won Gold medal in the nationals, conducted by the “School Games Federation of India”. She represented Karnataka in Ranchi in the year 2014-15. She has also won silver medal in the nationals, conducted by the “School Games Federation of India”. She represented Karnataka in Andhra Pradesh in the year 2012-13. She is a winner in the prestigious “Rajiv Gandhi Khel Abhian” conducted by Department of Sports Authority of India in the year 2014-15. Sheetal was a winner in the PYKKA Games (Panchayat Yuva Kreeda aur Khel Abhian) in the year 2012-13. Karnataka Badminton League (KBL) was conducted in Karnataka. Sheetal was selected in the League, by an Indonesian team called Flypower Warriors. This team was the winner in its maiden League. She was selected in the state team by the Karnataka Badminton Association for the National Championship held in Cuttack in 2013-14. She was awarded the “most promising player” by the Karnataka Badminton Association in the year 2011. 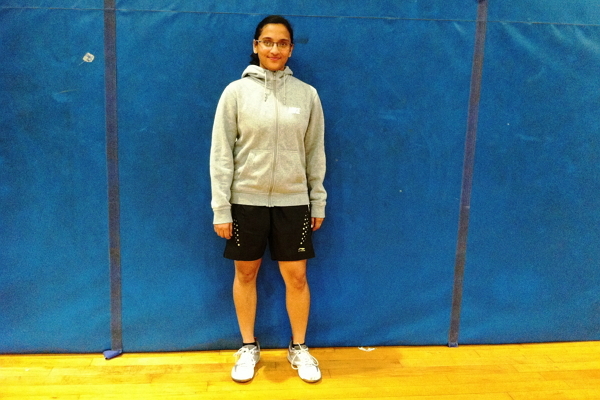 Sheetal has been a regular participant in the School Games Federation of India (SGFI). She has been representing the school and the state at the National Level. The SGFI tournaments are conducted every year by the Government of India under the Aegis of Ministry of Sports. To represent the state at the national level, every player has to play and win from the taluk level from which range they belong to in Bangalore. The player gets elevated step by step from the Taluk to District to Division to State level. This is a knock out tournament, so the player has to win every single round. A team of best five players are chosen from the state. This team will go on to represent Karnataka at the Nationals. This year (2014-15), was the 60th year of SGFI conducted at Ranchi, Jharkhand, in November from 15th to 18th. A total of 32 states had taken part. From every state, their best five players are chosen and sent to play this tournament. Sheetal’s tournaments started at the taluk level in August 2014. She has played and won all the levels from August to November 2014. These four months have been extremely demanding and testing time for her. She had to travel to different places like Davangere and Gulbarga to play different levels. After winning all the levels of the game, she was chosen to represent the state. At the nationals, Sheetal had to play against Andaman & Nicobar Islands, Bihar, Delhi, KVS Board and Maharashtra at the finals. These states were tough to play as they had good players with them. Finally the dream of winning the gold came true. A drive worth undertaken………. We hope to see this budding player scale new heights in her future endeavor and bring laurels. We wish her good luck.